If you injure your ankle and think you may have a fracture, waiting a few days “to see how it feels” can make matters worse. 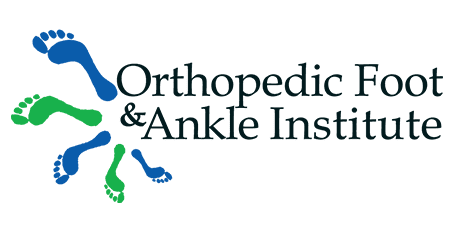 At Orthopedic Foot & Ankle Institute in Henderson, Nevada, Dr. Roman Sibel can evaluate foot and ankle injuries to determine if there’s a fracture and provide the best treatment for the injury. If you think you have a break in your foot or ankle and need to see an orthopedic surgeon, call the office or use the online scheduling tool to book your appointment today. When you fracture your foot or ankle, it means you have a broken bone. Fractures range from a partial break in one spot to multiple fractures throughout the area. Minor fractures might not cause significant pain and may be mistaken for sprains or strains, while compound fractures can take you off your feet for months. Multiple issues can cause foot and ankle fractures, but most often they occur when you twist or rotate your ankle or roll on it. These injuries can happen when you play sports or when you trip or fall. Sometimes, ankle and foot fractures result from car or bicycle accidents. If Dr. Sibel believes you may have a fracture, he orders image testing to verify the diagnosis and determine the severity of the break. Depending on your injury, he may request you get an X-ray, stress test, CT scan, or MRI. Dr. Sibel determines the best treatment for your fracture based on the type of break, its location, and severity. If your break is minor and your ankle feels stable, Dr. Sibel may suggest a nonsurgical treatment. Instead of surgery, he may use a cast, brace, or high-top shoe to support the leg while it heals. In some cases, you may need to use an assistive device, like crutches, to keep weight off the injured ankle or foot. He often orders physical therapy as well. When you have a complicated break or your ankle is dislocated, Dr. Sibel may recommend surgery. He may need to reposition your bone, or uses rods, screws, and metal plates to hold bones in place. Usually, your surgeon restricts how much weight you put on the injured foot or ankle as you recover from surgery. Dr. Sibel uses follow-up X-rays to determine how well your fracture is healing. If you think you may have fractured your foot or ankle, don’t wait to get an evaluation. Call Orthopedic Foot & Ankle Institute or go online to schedule your appointment today.